The BBC Ceefax service was launched by the BBC in September 1974 and continued to run as a teletext based information service until October 2012. 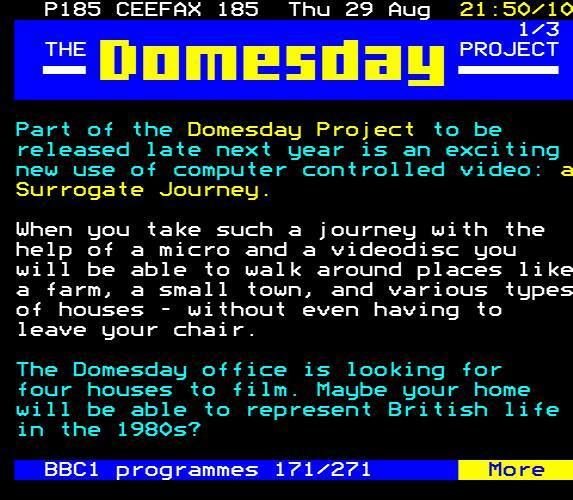 During 1985 as the Domesday project was being created, the BBC used the Ceefax service to advertise various aspects of the project such as the photographic competitions, locations for the surrogate walks and so on. 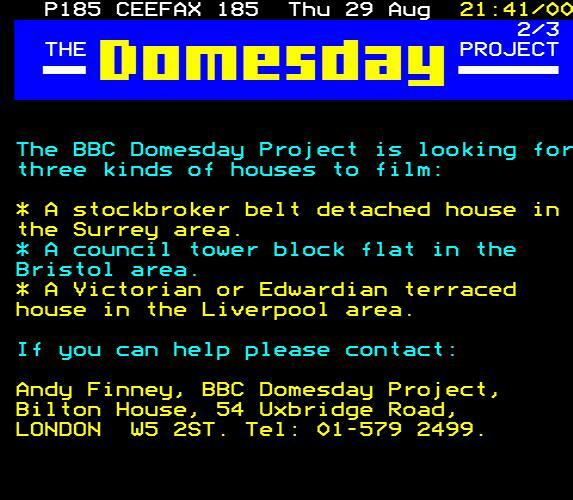 The following Ceefax screenshots were kindly supplied by Jason Robertson from the archive of recovered Teletext pages available from this link. The screenshots below are those from the archive containing the word ‘Domesday’. 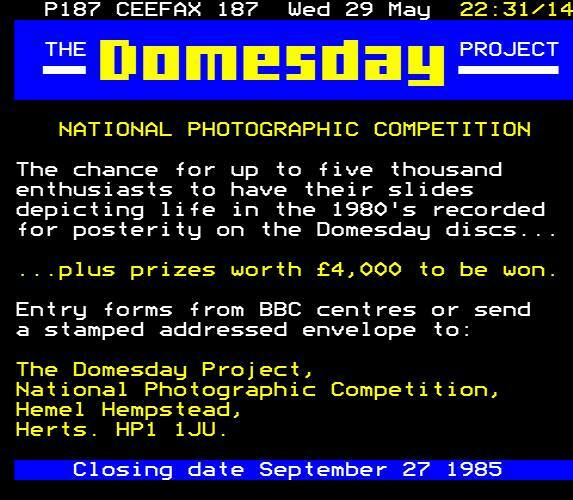 The National Photo Competition was used to gather photographs used on the Domesday Community disc.